Fringed with white-sandy beaches and surrounded by crystal clear waters, it is hard to see why Phú Quốc Island has taken quite so long to become the must-visit beach escape it now is. Perhaps because much of it is still cloaked in dense, tropical jungle and remains a heavily protected national park. 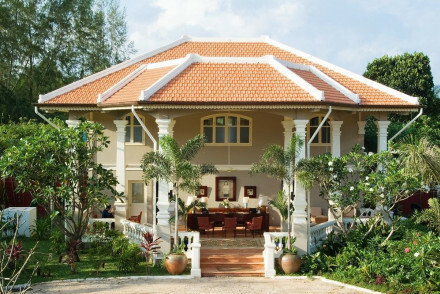 The best places to stay in Phu Quoc thoroughly tap in to this sense of the unspoiled and pristine. Snorkeling and scuba diving are the most popular water sports here, though jet-skiing, sailing and squid fishing – yes, squid fishing – are other activities on hand. As well as, of course, lounging on any of the island’s beaches. Sao beach on the island’s southern tip may be one of Asia’s most spectacular. There is also a great night market open every evening until midnight. Undoubtedly the most atmospheric and affordable place to eat on the island. Phú Quốc is best discovered by motorbike. The roads are well paved and there is hardly any traffic. Watch out for the monkeys! Phú Quốc is not really part of the Mekong Delta and doesn’t share its extraordinary ability to produce rice. Instead islanders have traditionally earned their living from the sea. Phu Quoc is also famed across Vietnam for its production of high-quality fish sauce (nuoc mam), the island has several factories that provide tours – not for those with an overly developed sense of smell! 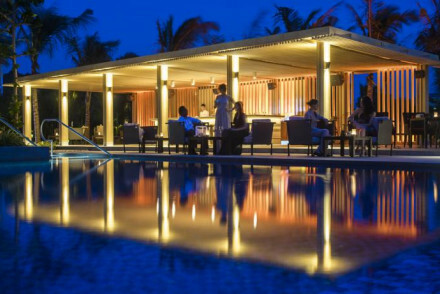 Our pick of the best places to stay in Phu Quoc offer perfect beach holiday destinations whether you fancy some serious luxury or want to completely tune out! If you are looking for pool side service and air-conditioned rooms, then you cannot go wrong with either of these choices. La Veranda is built like a French seaside mansion and is set in a beautifully landscaped garden. 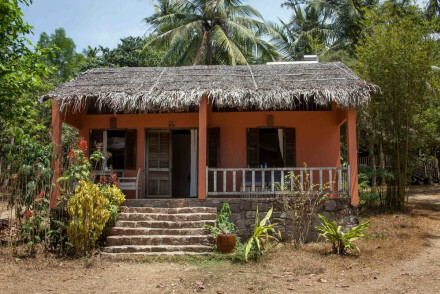 Salinda Resort – a true 5-star beach resort by any standard – stands out from its neighbours on Long Beach. For something a little more rustic, we recommend Mango Bay. This is no understatement – there is not a television on the property, no air conditioning and no telephones so leave the technology behind. A true escape! If you prefer a self catering property for your holiday, then we recommend you visit our online booking partner Booking.com where there is a wide selection for all tastes and budgets. Fly to the D? ?ng ?ông airport (PQC) from Ho Chi Minh City or there are hydrofoils boats between Phú Qu?c to Rach Gia, Ha Tien and Hon Chong. Best time to visit Phú Qu?c is between November and March when the average day time temperature is 31 degrees. The monsoon season runs from July - September. Expand your search to include all our Vietnam collections. Once a 19th century colonial French mansion, now a smart boutique hotel set in lush tropical gardens. The beach chic decor sets a laid back luxury vibe. Think candlelight barbecues on the beach and cocktails by the pool: honeymoon stuff. Cooking classes - Take a Vietnamese cooking course from the hotel chefs and learn to cook your favourtite dishes from the menu. Birdwatching - Birdwatching tours can be arranged on request. Great walks - Hike up through the forest to the waterfall.